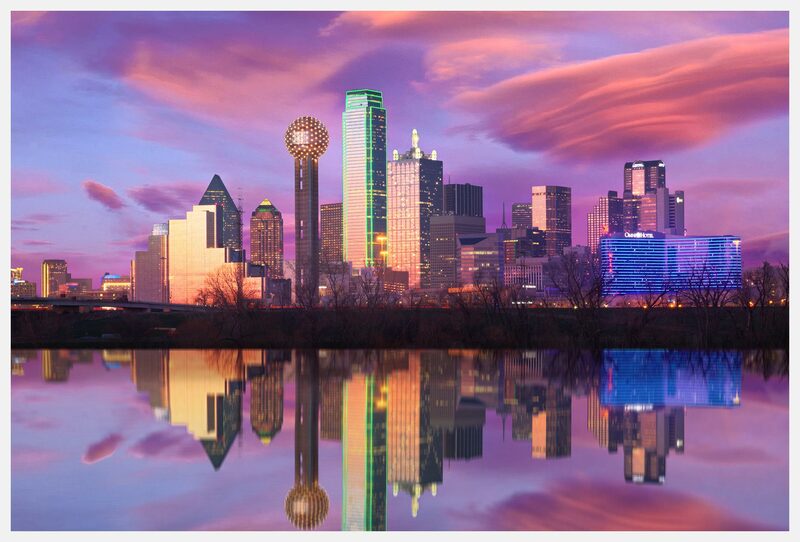 The Dallas, Texas skyline is reflected back in the Trinity River during sunset on Wednesday, February 25, 2014. Bank of America Plaza, centered, glows green as the evening light cascades onto the city’s architecture while Reunion Tower (center left) and the Omni Hotel begin their evening light show as dusk quickly approaches. (Photo/Stephen Masker).